Born on June 28th, 1946 in Detroit to a mother who was a housewife and a father who was a successful and gregarious hotelier who exposed his youngest daughter to show business. He took her to Broadway musicals in New York and shows in nightclubs around Detroit. And though she showed an early talent for singing and dance, Gilda’s early performances were relegated mostly to the living room where she entertained company. The last child born to an affluent family, she was a “daddy’s girl.” One of the great losses of the comic’s life was the death of her father when she was 14. After which she had many boyfriends searching for the one until she married Gene Wilder. Filled with highs and lows and ending when her ovarian cancer, misdiagnosed at first, took her life 1989. Her other love, Sparkles in the photo with her at right was at her bed side to say goodbye as well. When I look at this photo taken while Gilda was in remission... I can't help but think she was never more radiant, at peace. When she looks upon what her life and yes, her death has meant to so many people, she has to be smiling. In July 2009, The Wellness Community and Gilda’s Club Worldwide joined forces to become the Cancer Support Community (CSC). Today, CSC provides the highest quality emotional and social support through a network of over 170 locations worldwide, including 47 licensed affiliates and healthcare partnerships. 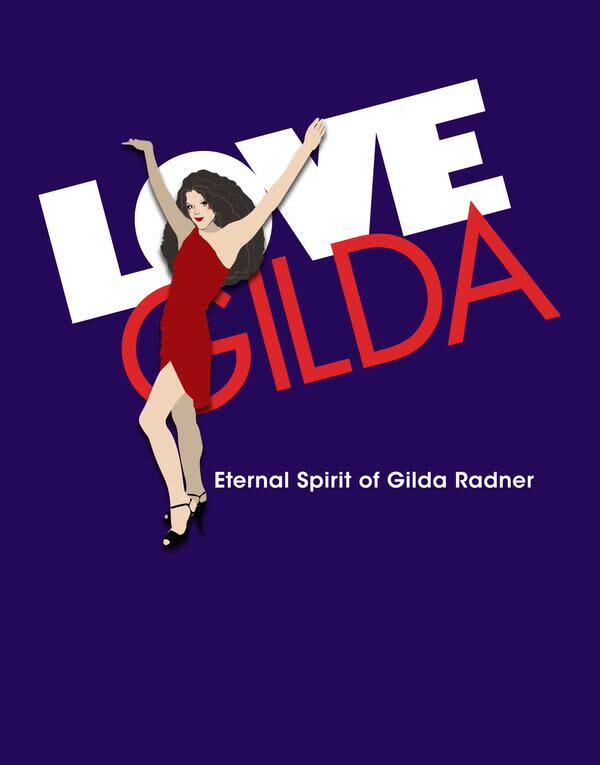 Gilda’s Club is named after legendary comedian Gilda Radner of Saturday Night Live fame, who died of cancer in 1989. 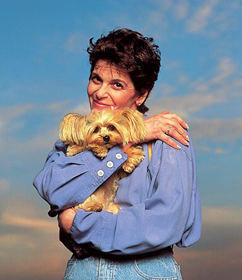 While in treatment in the mid-80’s, Gilda visited a cancer support community in Los Angeles where she found others going through a similar experience to hers and she drew strength and comfort from that supportive environment. It was Gilda’s hope that “such support communities” be available to anyone touched by cancer so no one would have to face cancer alone. 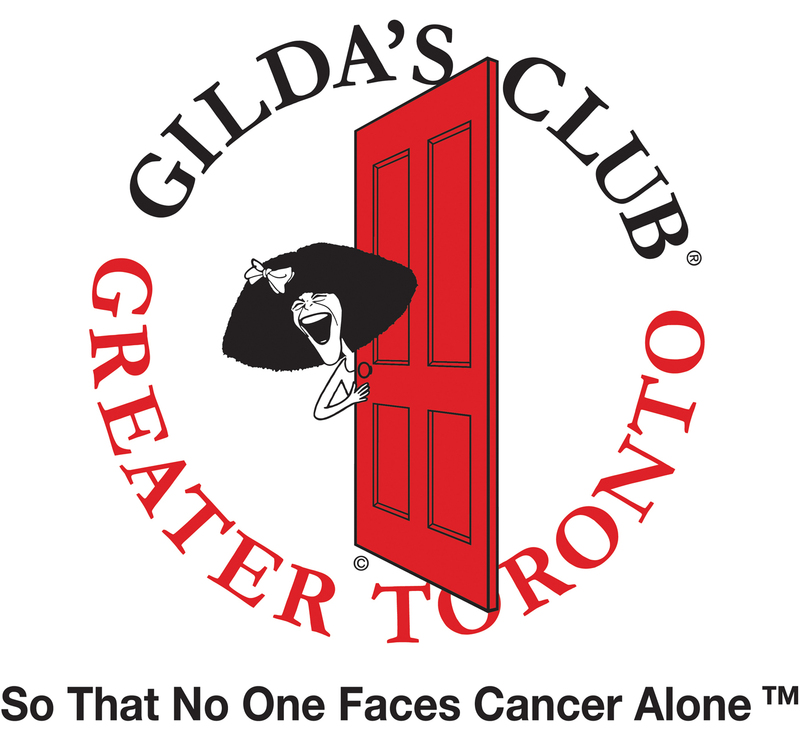 The first Gilda’s Club opened in New York City in 1995 and Gilda’s Club Greater Toronto opened its signature red doors in 2001.This location had been home to Second City where Gilda Radner got her start in comedy. There are now over 20 Gilda’s Clubs in North America.